Startisan has taken the PreSonus StudioLive RM16AI on the road for their live shows, taking advantage of the unit’s digital inputs to incorporate sophisticated backing tracks and effects processing into their live shows. They can even run VSTs and virtual instruments live. Using the same configuration, the band is also able to record all of their shows and rehearsals. The result? Concerts that sound more like their records. Well, that, and ticket sales. 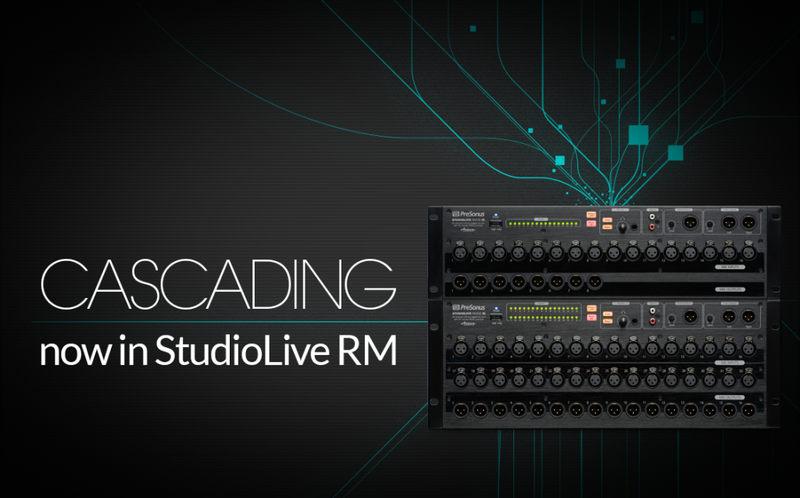 Learn more about the StudioLive RM series here. Learn more about Startisan here. I like to think of The StudioLive 16.0.2 as the scrappy little brother of the StudioLive family. Well into the StudioLive AI era, this Classic model is still one of the best-selling digital mixers we offer. Why? In short, the 16.0.2 punches with heavyweight power in a bantamweight frame. You get sixteen inputs and four Aux Outs, the same XMAX preamps and Fat Channels found in more expensive StudioLive mixers, and Smaart Measurement Technology via VSL. This all makes it ideal for both project studios and mobile PA/DJ rigs. Pound for pound, it’s arguably the most feature-rich mixer in the line. And don’t forget the 16.0.2’s secret weapon that no other StudioLive mixer in the line has: MIDI control! You can adjust mixer settings live, in-performance, with a standard MIDI controller. While more wallop for your wallet has always been part of what makes the 16.0.2 what it is, we’ve made that end of the deal even better for a while. 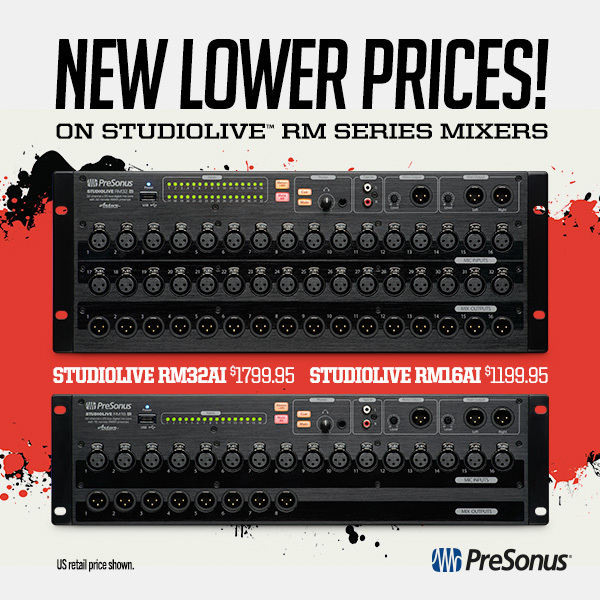 Until Dec. 31, we’ve dropped the price on the StudioLive 16.0.2 for customers in the USA down by a hundred bucks to a mere $899. Take one home. With a little training, your productions will be punching well above your weight class. Just make sure to bring in this new gear before the New Year—this offer ends December 31. What is iCanStudioLive? What was the inspiration for the name? Lucy: iCanStudioLive is the leading audio/video live recording producer in Indonesia. We produce quality content every day, and provide a one-stop solution from creative design to pre- and post-production and digital distribution. Our production team works very closely with quality talent to create unique programs to attract the global netizen. We’re located in Jakarta. Please feel free to visit our fully-equipped studio! The inspiration for the name came from our ability to do everything at one place—integrated and digital. Once you enter our studio, you will immediately think, “I can do this! I can do that! I can do everything I want!” Also, coincidentally, our other founder, Irsan Wallad’s nickname is “Ican.” So it was a perfect match with his vision on live recording, too. Then we named our studio “iCanStudioLive”—all one word, please! What does your studio specialize in? Who do you cater to? Lucy: We specialize in live recording, and help with concept and creative design for both audio and video. 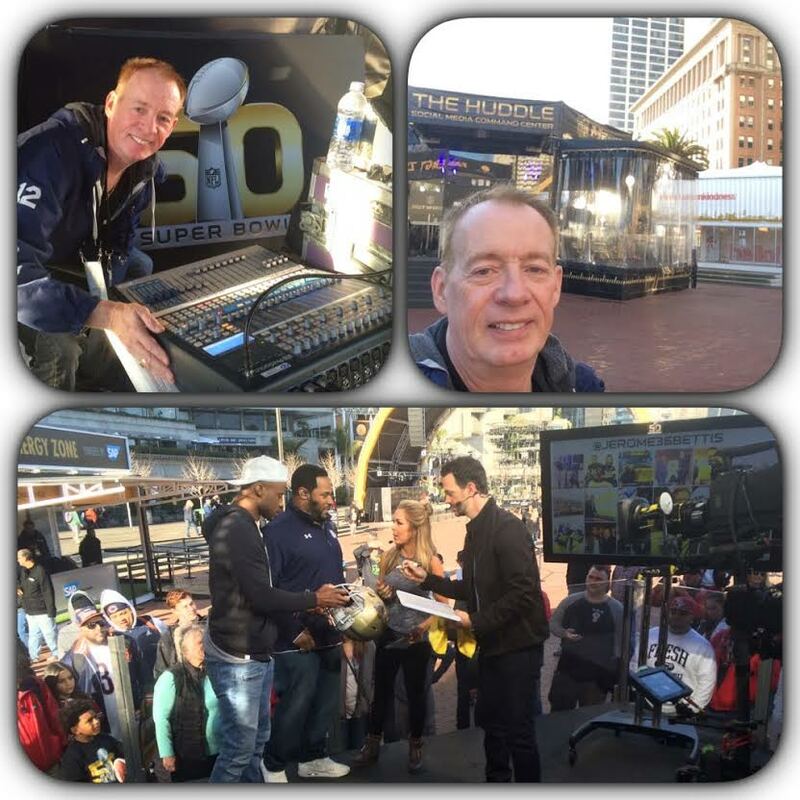 We are the first, and now leading the industry in live recording. We cater to skillful musicians, younger musicians, and prodigies. Case study: Joey Alexander, who is now becoming very popular in the USA. Lucy: We have full team: A General Manager who takes care of all studio activities, a Program Manager who take care of all programs—existing and future ideas. We’ve also have a Creative Manager who takes care of production, and a Post-Production Manager who takes care of post-production audio/video. Last but not least we have a two-person editor team, five production assistants for audio and video, general affairs, security, etc. All told, we are 16 people. Whose vision was it to start the studio? When did it start? Lucy: It’s Ican’s vision. He started this dream 15 years ago while doing his own business in multimedia. Can you give us some information about why you have chosen the complete PreSonus solution over all of the available choices? 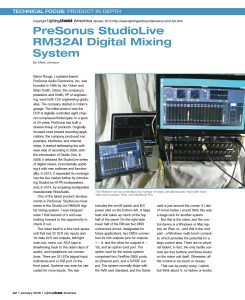 Lucy: PreSonus offers a single integrated control system for both live performance and recording. Can you give us an explanation as to how it’s all hooked up? 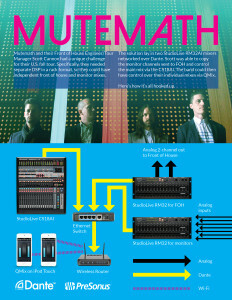 Perhaps explain a bit about the wiring between the control room and studio and your basic signal flow? Lucy: Capture 2.0 makes for easy multi-tracking and routing channels from the StudioLive to the DAW. For live use, we make heavy use of the Fat Channel in the StudioLive console mixer—it allows us to control Gate, EQ, and Compression when used for front-of-house. 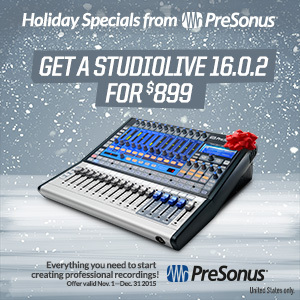 Furthermore, we can color the live sound with the StudioLive’s built-in FX. On the other hand, for studio recording—we need everything kept FLAT at the source, and the StudioLive’s clean preamps provide excellent clarity with no audible coloration. It’s great for both applications. Last but not least, perhaps some background on Ichan, how he got into audio, etc. Lucy: Ican fell in love with music when he was nine years old, and got started with multimedia when he was 13. His parents worked at a multinational company (Mobil Oil) as a joint venture between Japan, Indonesia and US. 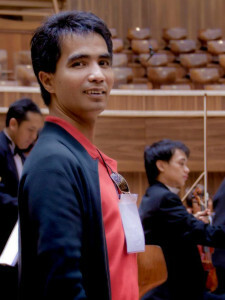 After getting a degree in architecture, he started doing live recording in 2007, and was eventually invited to record the local Symphony Orchestra in 2011. He built iCanStudioLive in the same year. Now he’s recording almost every day! Thank you Laz! It’s great to be one big family and we are looking forward to work closer for years to come.